Celebrate the Year of the Pig on the snow! 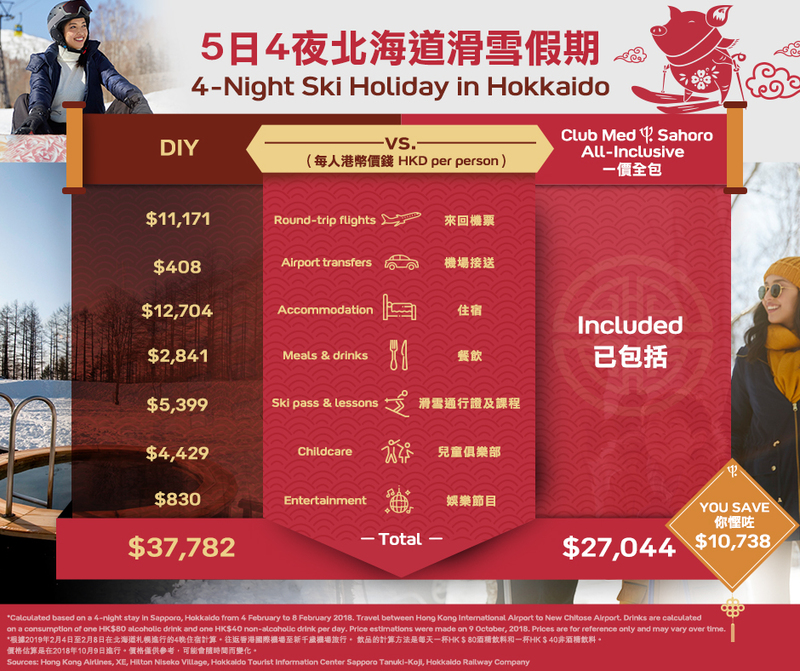 Chinese New Year is coming soon, are you looking for a hassle-free holiday without planning for the celebration activities? What’s included in this all-inclusive package? Travelling with kids is quite an adventure! At Club Med, we believe providing your with an easy and hassle-free experience is the surest way to create great family memories. CELEBRATE THE YEAR OF THE PIG ON THE BEACH! Our all-inclusive package helps you save more when compared with a DIY package! With Club Med, your ski pass is included: no more queues and more time to enjoy the slopes all the week and ski lessons from Monday to Friday!